Aviva Life Online Payment Service is a wonderful facility offering by the Aviva Life Insurance Company Limited. The company is providing many facilities for their Policyholders who want to save their time. You can Buy the Insurance through Online, Renew your Policy and Pay Aviva India Insurance Policy Premium. Aviva Life Online Payment Service is one of the Best Online Service offered by Corporation. For the Convenience of the Customers, Aviva India Life has recently introduced various Online Services. The services included Online Buying, Premium Calculator, Online Premium Payment, Online Rewal, Tax Calculator, etc. So now there is no need to go to Aviva Life Insurance Branch Office to pay premiums, Policy Renewal or to know the Policy Status every time. 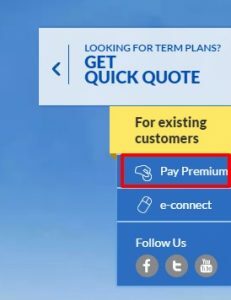 We can use Aviva Life Insurance Online Premium Payment Service to pay the Premium Online whenever our Policy Term is completed. Check the different ways of Aviva Online Payment. 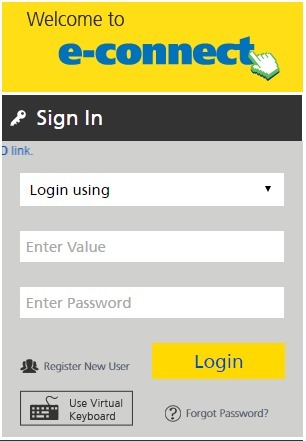 All the Policyholders of Aviva can use the Online Payment Methods to Save Time. The different ways of Aviva Online Payment are Login Option, Quick Pay, Mobile Pay, Policy Renewal through Internet banking, etc. The detailed process for each & every Online Payment method given on this page. Therefore, the Appointees can follow the provided Payment method steps. Using these steps they pay their Premium using the internet. Customers of Aviva Life Insurance can pay the premium for their policy through direct payment. The thing you have to do is Login to the portal and Pay using Net Banking/ Debit Card. As visiting the branch office is the time-consuming process, Aviva has provided online facility to pay the premium. So go through the following steps for Aviva Life Online Payment. Visit the official site www.avivaindia.com. 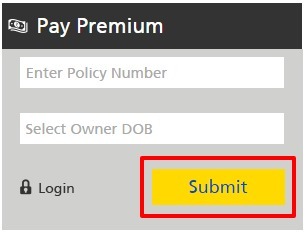 At the right side of the homepage, you will find Pay Premium option. It contains Policy Number and Date of Birth of the policyholder. Fill the details and Click on submit. There you will get options to pay the premium. Pay the premium using Net Banking/ debit card/ Credit Card. Finally, you will get a confirmation message to your mobile/ Email Id. In previous days Aviva Policy Renewal checking is a lengthy and time-consuming procedure. The insured has either visit the nearest branch office or to keep in touch with the Aviva Life Agent to know the buy the policy and pay the premium and renewal. With time Aviva Life Insurance Company has also developed, it offers a broad range of services to its policyholder convenience. 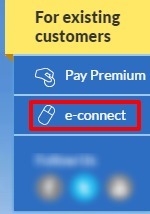 At the right side of the page, you will find e-connect option. You can Login using Policy Number/E-Mail ID/Mobile Number/Client ID/Login ID. Enter the mandatory details like Value and Password. Now, you can make the payment using Debit Card/ Credit Card/ Net Banking. The Life Insured can also pay the advance premium if the due date is within FY or 3 months in advance if the due date is in next Financial Year. Taxes that are applicable will be deducted and/or charged from/on the premium/unit account at the prevailing rate. International credit cards or debit cards i.e. the cards that are issued by the banks outside India are not accepted for Aviva Life Insurance Premium Payment. On due date only, the paid premium will be updated. How to Buy Aviva Life Insurance New Policy? Customers can buy the new Aviva Life Insurance Policy by following these steps. Here we have provided the detailed process of Aviva Life Insurance Online Payment for buying a new policy. At the secondary menu, you will find Buy Online option as shown in below image. When you moving your mouse, the products under Aviva Life Insurance will be displayed. Read the Terms and conditions of the policy before going to accept it. Click “>” button to proceed to the next steps. Here you can buy the Aviva Life Insurance Policy through Aviva Life Insurance Online Payment. Make the payment using Net Banking/ Debit Card/ Credit Card.